comment Bite-sized 4-hour tour focusing on the Hoover Dam. One of America's most impressive man-made wonders! 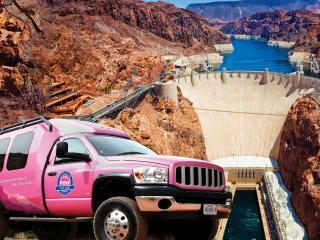 Leave the glitz and the neon behind and head to the Hoover Dam, one of America's most impressive man-made wonders! 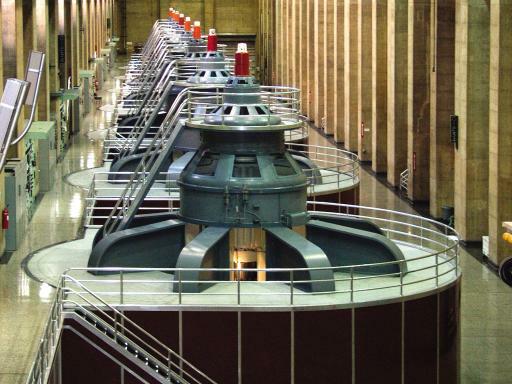 Take a close look at this incredible structure, stop at the Visitor Center and even walk along the dam itself. Explore the history and science behind the incredible Hoover Dam on this Pink Jeep Tour which invites you to travel in style in a luxurious Tour Trekker, custom-designed for your comfort. 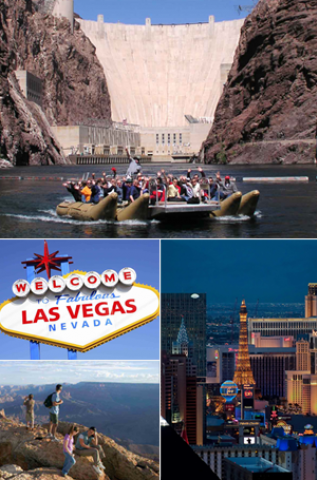 On the way, observe the vintage charm of Boulder City, that was built for the construction of Hoover Dam, and gaze upon the vast waters of Lake Mead sparkling beneath the sun, as your tour guide narrates your journey from the glitter of Vegas to the roaring water of the Hoover Dam. Your Hoover Dam tour really begins when you step inside of the auditorium. Professional audio and film presentations uncover the history as well as the plan that led to the building of the Dam. 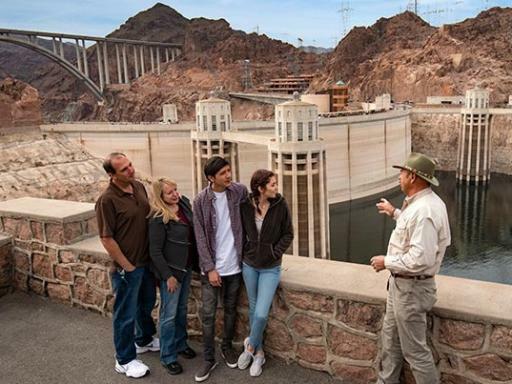 Jump into interactive exhibits inside the Visitor Center that explain the Hoover Dam’s engineering mysteries; then browse through the gift shop for a souvenir. Now it’s off to your tour of the Hoover Dam Power Plant. Learn about what went into its construction and what operational maintenance keeps the structure running today. 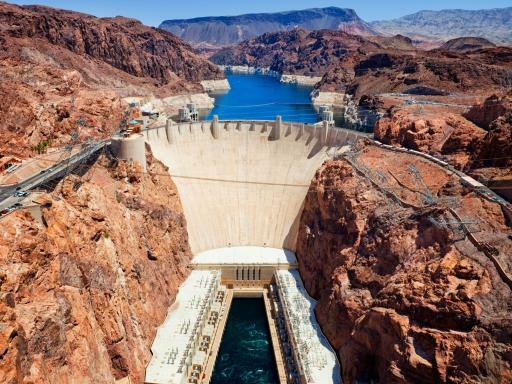 You will learn fun facts and legends about the building of the Hoover Dam and questions are always welcome, so ask away! 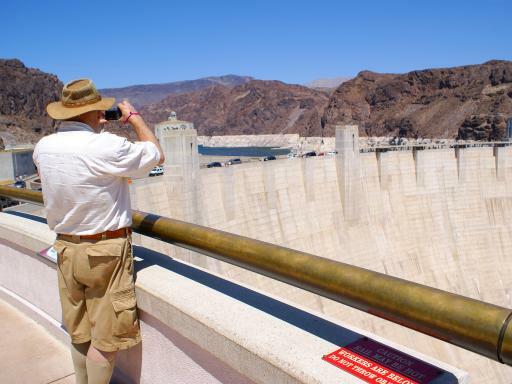 Then step outside onto the Hoover Dam observation tower. 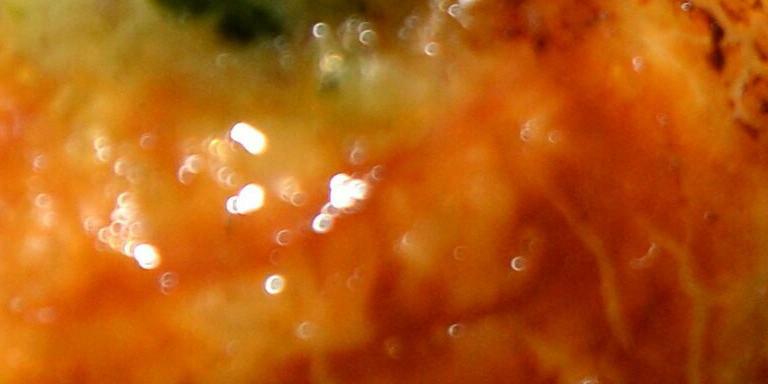 Have you ever seen such a sight? 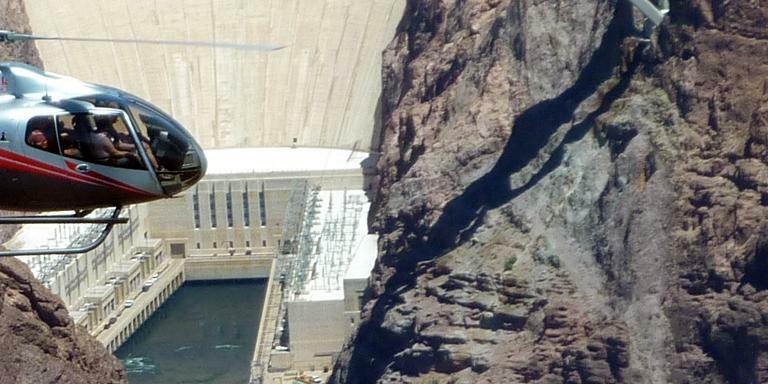 Gaze in awe at this breathtaking, massive dam - this is how mankind has tamed the rough waters of the Colorado River. The views of towering mountains and iridescent water are perfect for picturesque panoramic shots and make a great backdrop for your group photo. Want a picture? Your Pink Jeep Tour guide will gladly capture this timeless moment. You will also drive across the Hoover Dam to the Arizona side where you’ll get great views of the Hoover Dam spillway and diversion tunnel. 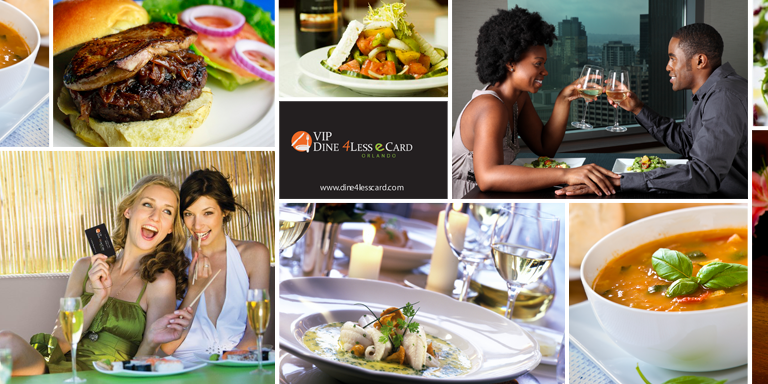 Hotel Pick Up: Yes - from most Vegas hotels. Start Times: 8:00am and 1:00pm. Brilliant day out. The guide, Jurgen, was fabulous. Very informative. Kept everyone on time. Comfy jeep. No children under 3 permitted on tour.